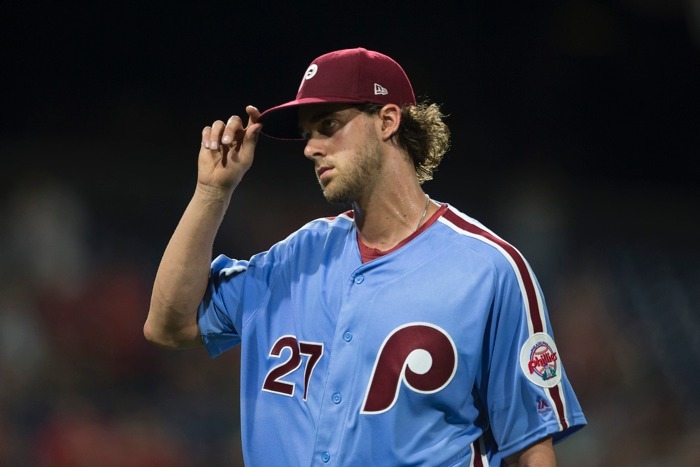 Will Aaron Nola's Team-Friendly Extension Be the First of Many in a New, Riskier Free Agent Market? 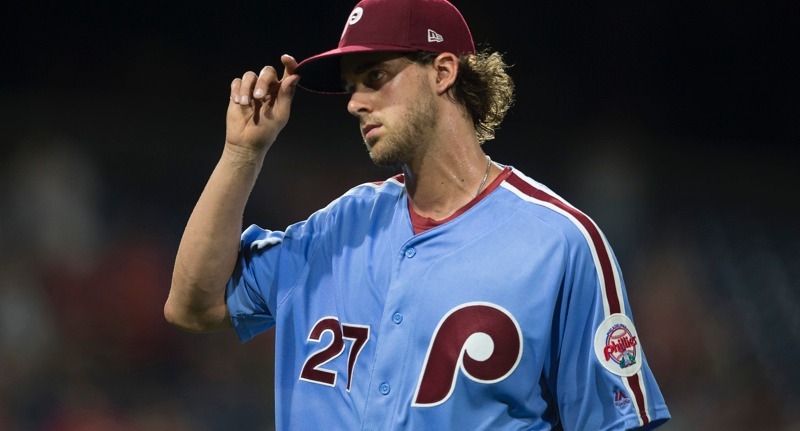 Will Aaron Nola’s Team-Friendly Extension Be the First of Many in a New, Riskier Free Agent Market? Until and unless the Collective Bargaining Agreement is renegotiated to be more player/free agent friendly – in about, oh, several hundred different ways – the free market will not return to our previously-conceived “normal.” Indeed, with free agent dollars and timing as uncertain as ever, more guys under control might be – more or less – forced to remain open to the sort of contact extensions for which they might’ve never otherwise settled in the very recent past. 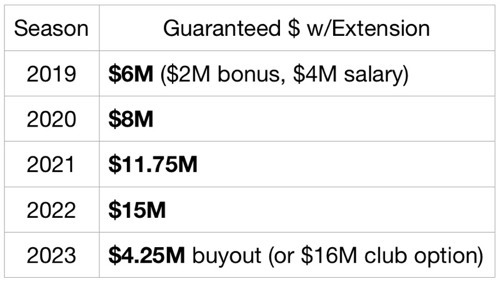 With this deal, Nola has guaranteed himself $45M, with a shot at $56.75M total dollars, if the Phillies pick up his 2023 option, buying out his second should-be year of free agency. But I’d argue that he could’ve earned a pretty substantial salary simply by going through arbitration (and eventually hitting free agency), with a shot at earning much, much more. And I have a nearly perfect example to support that. 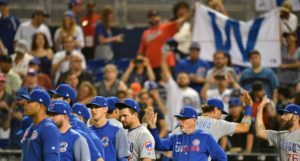 Back in 2016, a 26-year-old Kyle Hendricks finished 3rd in the NL Cy Young voting for an up-and-coming, big-market team one year before he’d become arbitration eligible. He got a modest bump in his pre-arb salary in 2017, but saw a nice raise during his first trip through arbitration in 2018, earning $4.175M. In his second trip through arbitration (2019) after a solid, but unspectacular 2018 season, Hendricks will earn $7.4M, with one more trip through arbitration to go. Now, Hendricks isn’t a perfect match for Nola, but only in the way that would’ve have HELPED Nola in arbitration. Consider that Nola is two years younger than Hendricks was when he first hit arbitration and one year closer to his Cy Young season. With similar service time and natural inflation, then, it’s not surprising to see that MLB Trade Rumors had projected Nola to outpace Hendricks on his first arbitration contract with something worth roughly $6.6M. I know it’s imperfect, but let’s say that’s how much he could’ve gotten this year. I think that’s a fair assumption, given everything we know. So, playing this conservatively – because, again, Nola is younger, coming off a better season than Hendricks, and had almost the exact same amount of service time upon reaching his first trip through arbitration – we can assume Nola would probably get AT LEAST as big of a raise as Hendricks got from year one to year two (77.37%) – I know health and production plays a part, but that’s a gamble on both ends. 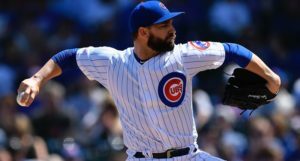 We can only play with what we know right now and what we know is Hendricks got a 77.37% increase in salary. By going through arbitration, if he were still healthy and productive, Nola could’ve outpaced the first three years of his new deal by $13.25M ($39M – $25.75M) – or nearly as much as he’s sold his entire first year of free agency. Sure, Nola has guaranteed an extra $6M ($1.75M between the first year of free agency and what he would’ve otherwise earned through arbitration, plus the $4.25M buyout), but he gave up TWO free agent years to do it – one of which was a pre-30-year-old season! Obviously, things could go awry for Nola (injury, ineffectiveness, what-have-you), but things could’ve also gone right. There’s nothing wrong in locking down life-changing money – I’d be hard-pressed to say no to that kind of dough – but this, to me, is a pretty clear signal that players currently under control are well aware of the unusually high risks in free agency. How else can we explain a 25-year-old Cy Young finalist selling his first two years of free agency for so little three years ahead of time? Maybe he wanted to stay in Philadelphia (they’re obviously on the up-swing), but he simply should have had a lot more earning potential than that. We have to wonder if this the start of a trend that’ll continue on until the next CBA negotiations (or strike …) are underway. And if that is the case, you do have to wonder what it means for the Cubs. 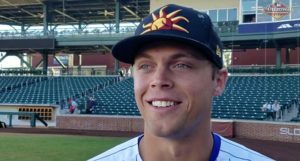 Obviously, we don’t want the front office or owners to be total jerks taking advantage of a bad situation for Cubs players we love by giving them artificially smaller contracts than they should be under normal circumstances. But there is also a competitive angle to all of this (and, of course, my personal desire to keep most of these guys around as long as possible). Obviously, the best case scenario is a mutually beneficial middle ground that pays the player handsomely and keeps the team nimble, but with the way the winds have been blowing lately, I don’t even know what that would look like anymore. We’re in a strange time, my friends, and it might just get stranger. Next Post Next post:The Red Sox Are Shopping Their Defensively-Inclined Catchers, You Say?